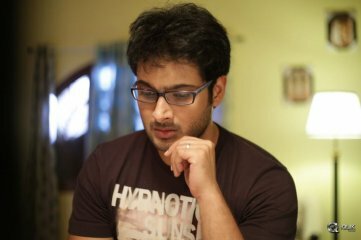 Uday Kiran’s career in Tollywood is an interesting case study. He rose to fame with three straight hits in the start of his career and the graph took the downward trend in the double speed. Uday Kiran was born on 26 June 1980 in Hyderabdad, Andhra Pradesh. His mother Nirmala passed away in 2006 due to Cardiac arrest and then his father VVK Murthy married again. VVK Murthy and Nirmala couple has one more daughter, Sridevi. Uday Kiran was a graduate in commerce from Wesley College, Secunderabad. Uday Kiran is married Vishitha on October 24, 2012. Uday Kiran is in to modeling. He won the Mr.APtech Pageant in 1996. He got his first film chance in Chitram movie in the direction of Teja and production of Ramoji Rao. The movie was on youth weaknesses and struggles due to love marriage. The movie with its content and Uday Kiran with his youthful looks struck chord with young audience and the result is a big blockbuster. Uday Kiran’s honeymoon continued for the next two movies too. Nuvvu Nenu and Mansantha Nuvve were also blockbusters and made him a big star at a young age of 20. However, things were not as smooth in the future, his fourth movie, Kalusukovalani is an average and fifth film, Sri Ram showcased him in a mass role which failed miserably. And from then there is everything which is downtrend for Uday Kiran. Uday Kiran went on to do about a dozen movies later but none of them worked for him. Things were so bad that even film ‘Abaddham’ by Veteran director, K.Bala Chander could not have buyers. On the midnight of January 5th, Uday Kiran committed suicide in his flat in Srinagar Colony by hanging himself to a fan hook. He was brought dead to Apollo Hospital, Jubilee Hills. In their primary report, Police came to a conclusion that the actor ended his life due to economic crisis and failure in career. The investigation is on. The below are the films which were launched prior to February 2013 but never went on to sets. It is said that they are the reasons for his suicide. Uday Kiran death: Suicide or forced suicide? Uday Kiran � A Fallen Dhruv Star!